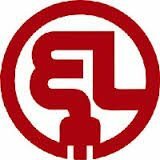 The Electric League of Arizona is a statewide non-profit trade association founded in 1960. We represent approximately 250 companies committed to high standards of professionalism in the Electrical, HVACR, and Energy Management Industries. We can help your company grow, prosper, and take a leadership role in your industry. Don’t wait for a disaster with your Heating or Cooling Units to strike!